Beachside at the Pier - This spot is convenient for public transportation and parking at the large Pier lot. People visiting who want to relax with easy access to the restaurants and shops at the Pier and the International Boardwalk should spread their towels here. Redondo Beach Jetty - South down the coast, this spot is usually much less crowded than the Pier area and is one of the best spots in Redondo Beach for surfing. Head down here if you want more space or to play some water sports. Avenue C Beach - Starting off around RB's Avenue C and heading south, this is less crowded than the Pier and offers volleyball nets and the widest sections of the beach. Parking is metered parking at the top of the cliff. 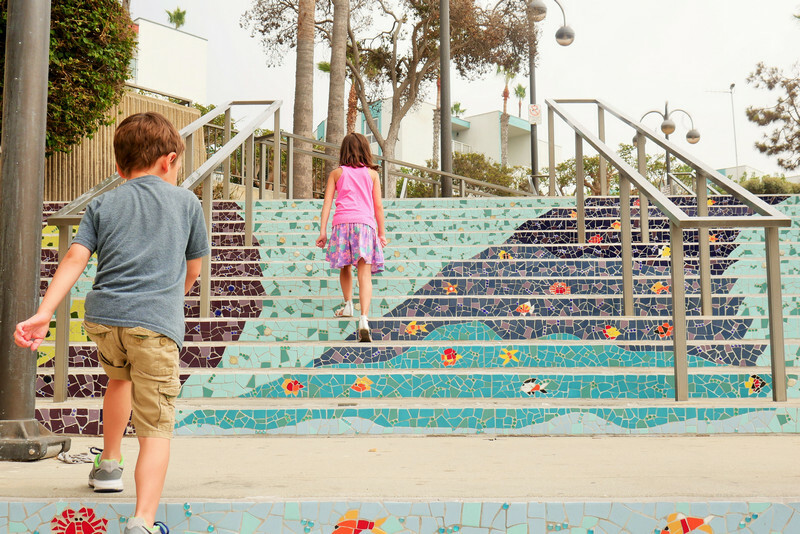 If you are planning a trip here, you will need to use a steep staircase or walk the approximately 20-minute casual trail from the Pier area. After some fun at the beach, it’s time to head out into the water! Yep, the name says it all! 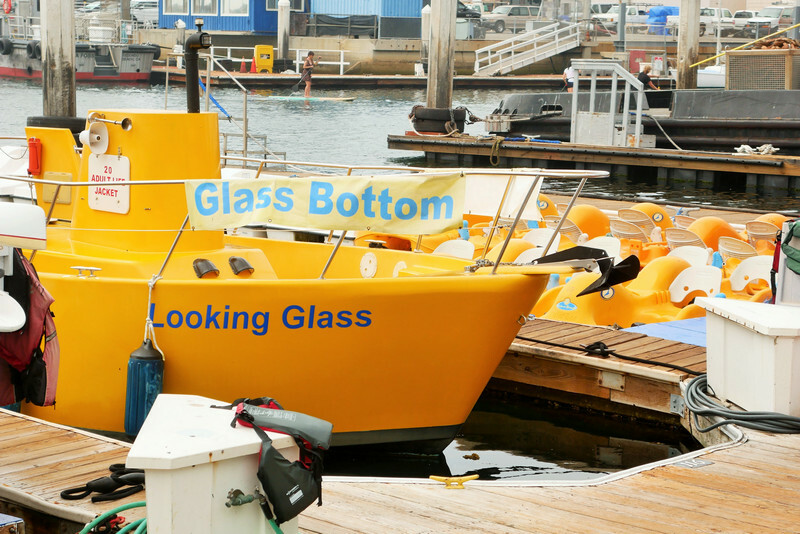 The Glass Bottom Boat takes you out into the ocean for an adventure the whole family will love. Kids will be mesmerized and get an up-close encounter with fish and other sea life. Parents will be impressed by the staff’s top priority of safety and the knowledge they have on this guided tour. 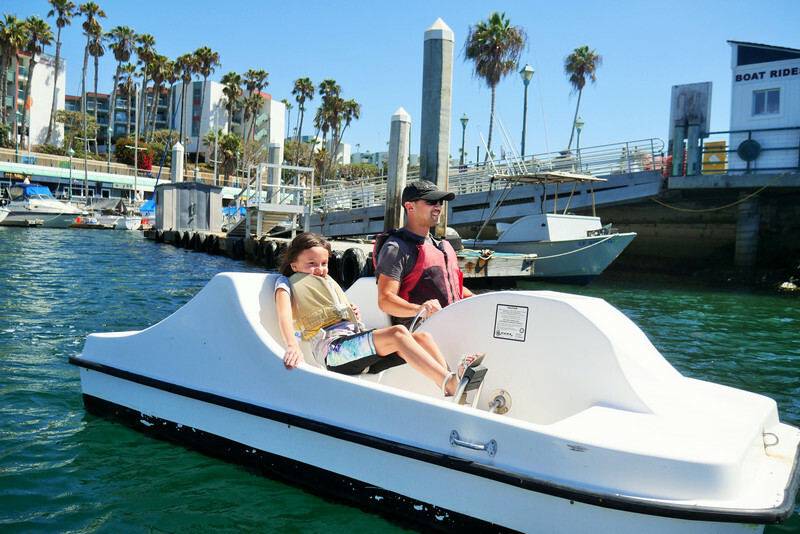 This is definitely a unique experience you won’t want to miss out on while in Redondo Beach. 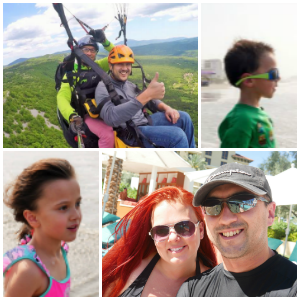 Looking for a more self-guided adventure? Right next to the Looking Glass Boat you will find pedal boats that you can take out for a spin! They even have pedal boats built for four, so a whole family can go out together. Kids will get a kick out of these, and it really is a fantastic family bonding experience. It also can be quite a workout, so make sure the whole family is pitching in! We have younger kids, so it was a little harder for them to reach the pedals, but that didn’t stop our daughter from trying, and she did a great job. 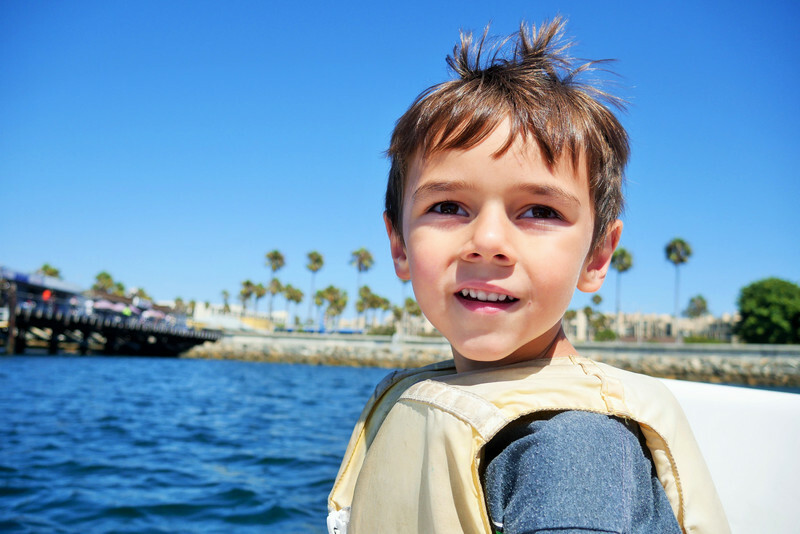 Younger kids can have fun steering your boat and deciding what direction to go. On our journey, we even spotted sea lions, which was a real treat for the kids to see them up-close! 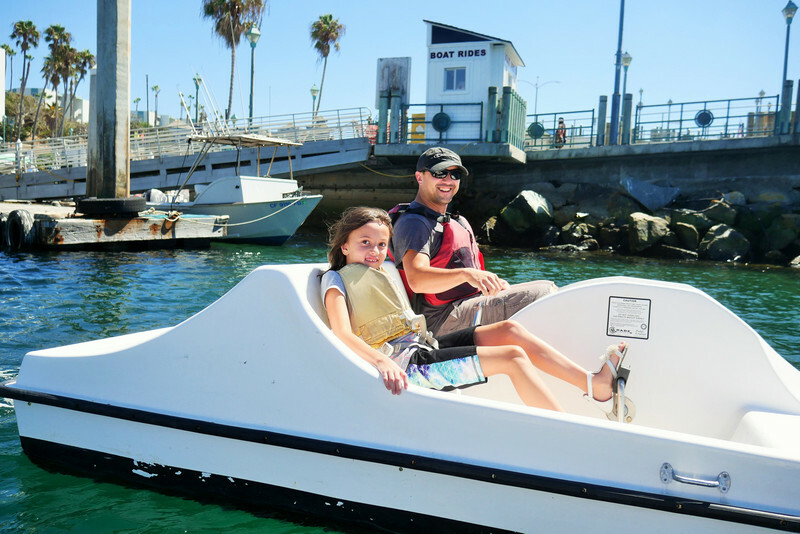 Sea Lab is a truly unique experience in Redondo Beach that kids will love! 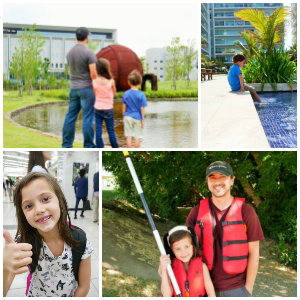 This hands-on science center dedicated to marine life is a must see activity for the whole family. Here not only kids but all family members will learn about sea life and even all the plants and native vegetation surrounding the local area. Make sure to plan a whole afternoon here because the kids won’t want to leave. They will want to explore and learn more. The Marina is bursting with amazing food options, so many that it may be a little overwhelming. I recommend going where the crowds are. You may have a bit of a wait, but where there is a line of locals is bound to be some good grub. 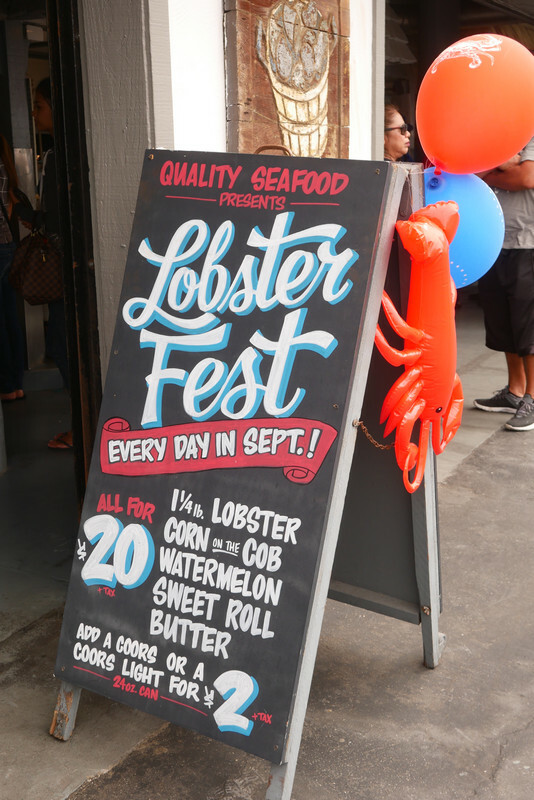 A Redondo Beach specialty is the fish markets where you can pick out fresh seafood and have it cooked up right there. Places like Captain Kidd’s won’t disappoint, and you will have the freshest lunch around. 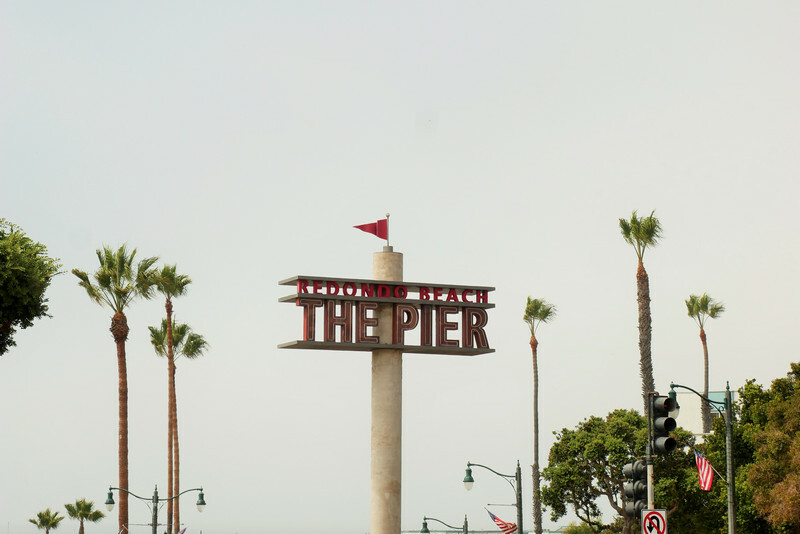 Whether you are looking for a quick bite or to sit back and have a relaxing meal, you will find amazing options at Redondo Beach. There definitely isn’t a shortage of amazing places to stay in Redondo Beach, and your family is bound to find one that will be a great fit for you. If you are looking at something close to the beach, I highly recommend checking out the Redondo Beach Hotel. This property offers marina views, newly renovated rooms, and more. 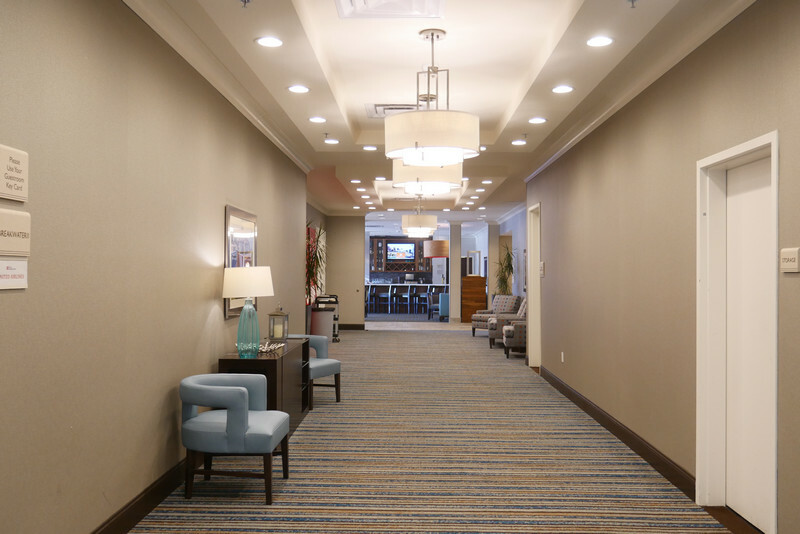 If you are on a slight budget, I recommend choosing the Hilton Garden Inn Los Angeles/Redondo Beach. This is where our family stayed during our time in Redondo Beach, and it was wonderful. 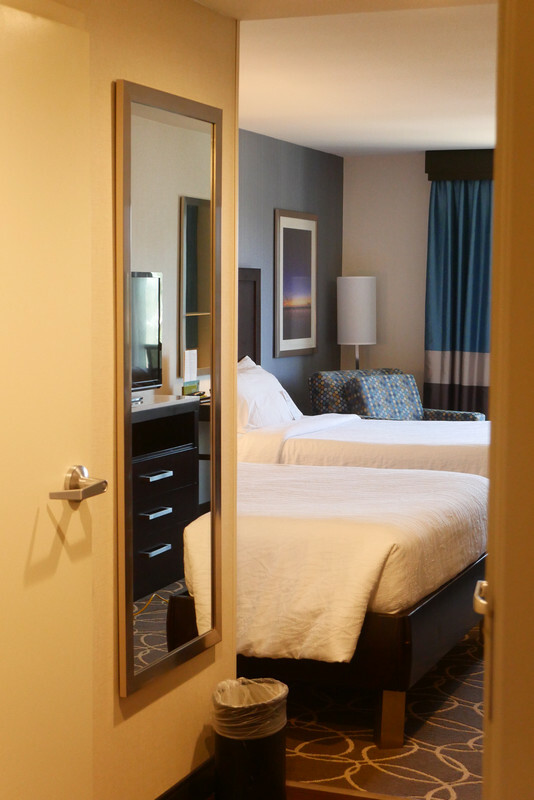 Large spacious rooms with a fridge, microwave, and complimentary WIFI make this a great option for families. Staying here made our trip a breeze! Redondo Beach’s theme is “More to Sea,” and there really is more to see and do in Redondo Beach. It was an absolute highlight to the end of our summer and Redondo Beach has fun for the whole family year round! 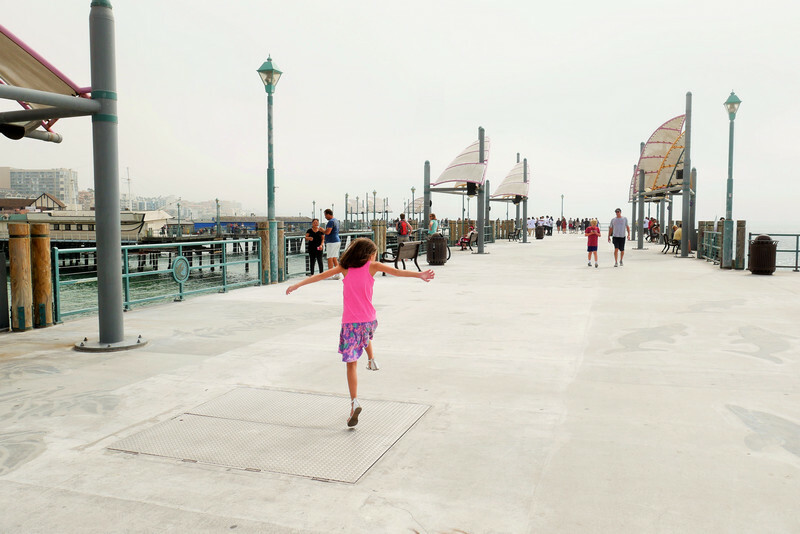 Head over here to start planning your family’s unforgettable trip to Redondo Beach!